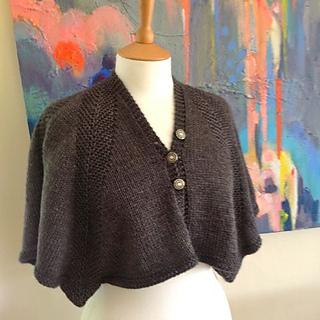 The Bessie May Shruginno Natural Shrug is inspired by art deco structure, bringing symmetry together to create a flowing shrug cardigan, that hangs straight at the front, with deep flows ending in a point at the center of the back hem. 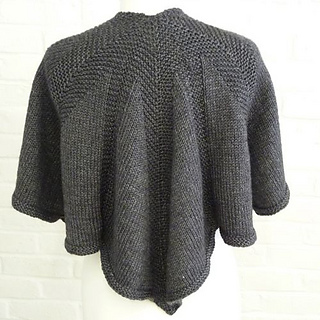 The Shruginno Natural Shrug is stunning from all angles ~ was the hit of the Stitch and Knit Show at Ally Pally, London, even if we say so ourselves. Great for a special outfit, or just adding style to every day. Knitted in five identical diamond pieces, shaped by symmetrical decreases. Combination of stocking stitch and garter stitch.